New: See end of course description for note if course is either a requirement or an elective option for any Degree and Certificate. This page is being updated- Degree/cert notes will be completed soon. Not open for credit to students who have already completed or are currently enrolled in same. Not open for credit to students who have completed or are currently enrolled in LH 13E. Not open for credit to students who have completed or are currently enrolled in LH 14E. Also offered as Biol 5. Not open for credit to students who have completed or are currently enrolled in Biol 5. Not open for credit to students who have completed or are currently enrolled in LH 17E. Not open for credit to students who have completed or are currently enrolled in LH 17. Please Note: Course numbers changed to LH 18LA & 18LB effective Spring 2016. Not open for credit to students who have completed or are currently enrolled in LH 29E. Course study under this section may be repeated one time for a maximum of 6 units. Description: Advanced landscape design topics, including layout and dimensioning plans, lighting design, water feature design, and custom structural detailing. Also offered as Envmt 38A. Not open for credit to students who have completed or are currently enrolled in Envmt 38A. Not open for credit to students who have completed or are currently enrolled in LH 40E. Not open for credit to students who have completed or are currently enrolled in LH 40. Description: Advanced study of mushrooms in the landscape and garden: Emphasis on the development of a presentation portfolio of mushroom cultivation projects; laboratory covers capture and ramping-up methods, translation of lab methods to field use. 0109. Course study under this section may be repeated three times for a maximum of 5 units. Modular, open-entry/open-exit course: Four-day field studies trip to each different locale. Course study under this section may be repeated three times for a maximum of 4 units. Description: Foundations of urban and community forestry: Technology used in the field by arborists; appraisal and value of urban vegetation; planning for, managing, and applying work practices performed by practitioners in community forestry and urban forestry; urban forestry policies and vegetation ordinances; best practices for local community resources supporting urban forestry. Description: Fundamentals of equipment used in the arborist trade: Chain saws, chippers, plant health care equipment, and aerial lift; truck driving and bucket truck operations; equipment maintenance; equipment safety and safe work practices. D/CA: required for the Landscape Horticulture AS Degree in Arboriculture and Tree Climber Specialist Certificate of Achievement. Description: Exploration of tree health care: Tree management, treatment options, and prescriptions; integrated pest management; plant nutrition; equipment for treatment applications; soil amendment; managing tree construction damage; integrated vegetation management standards; tree risk assessment; and tree hazard management. Description: Introduction to large-scale arboriculture equipment: Driving trucks and trailers; operation of lifts, stump grinders, and accessory equipment such as log loaders, booms, and cranes; rigging equipment, techniques, and safety; safe tree removal; felling trees and large limb felling. Description: Principles and practices in pruning for urban and community forestry: Tree care pruning standards and application of those standards to various tree care situations; trees assessment for pruning needs; types of pruning cuts and how to perform the cuts properly; commercial, municipal, and utility applications for pruning; application of pruning practices for specific tree species. Description: Practices and techniques of tree climbing and aerial tree work: Pre-climb inspections; climbing equipment for safety; rope installations; ascending skills; re-positioning skills; maneuvering techniques; descending skills; knots for various situations and applications; emergency response procedures including aerial rescue basic concepts. 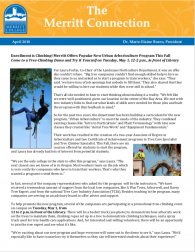 Description: Strategies and techniques of applied aerial tree work: Safe work practices; operating chain saws in an aerial situation; performing pruning cuts at heights; rigging loads during aerial work; climbing in spurs; decision-making for aerial pruning cuts and tree care; aerial rescue training. Description: Advanced, hands-on applications of aerial tree work: Emergency response; aerial rescue; storm preparedness; storm damage response; working with wood under tension; tree risks & mechanics; emerging trends impacting the trade and occupation; skill building in advanced or specialized/technical aerial tasks associated with rigging, removal and felling. Description: Aspects of crew leadership in arboriculture: Preparation for post-training work duties; examination of key job duties and tasks associated with tree care operations; communications, planning, and leadership; setting up job sites; managing resources; reporting work performed; application of communication and interpersonal skills to various work site situations; interpreting written work orders/plans; application of leadership skills to solve problems; examine strategies for creating safe workplaces and modeling safe cultures for diverse populations. Course study under this section may be repeated three times for a maximum of 2 units. Course study under this section may be repeated three times for a maximum of 16 units.